When Living and Sustaining a Creative Life was published in 2013, it became an immediate sensation. 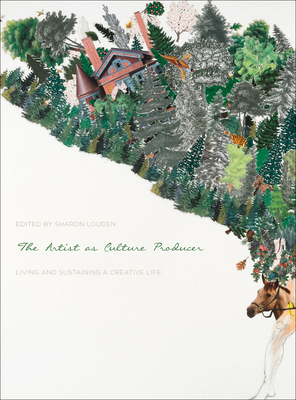 Edited by Sharon Louden, the book brought together forty essays by working artists, each sharing their own story of how to sustain a creative practice that contributes to the ongoing dialogue in contemporary art. The book struck a nerve—how do artists really make it in the world today? Louden took the book on a sixty-two-stop book tour, selling thousands of copies, and building a movement along the way. Louden’s worldwide book tour begins in March 2017. More information and tour dates can be found online at www.livesustain.org. Sharon Louden is an editor, educator, advocate, and a practicing, professional artist. Her work has been exhibited at the Aldrich Contemporary Art Museum, the Drawing Center, Weisman Art Museum, Birmingham Museum of Art, Weatherspoon Art Museum, and the Kemper Museum of Contemporary Art, among other venues, and it is held in public collections such as the Whitney Museum of American Art, the National Gallery of Art, and the Museum of Fine Arts, Houston. For book tour information, please visit www.livesustain.org.